Siboney Cellars is co-located with Hawk's Shadow Winery in Dripping Springs, in the beautiful Texas Hill Country. Sunrise over Hawk's Shadow Winery. Google Map directions for "Hawk's Shadow Winery" will bring you to this beautiful estate. The scenic drive, about 30 miles from Austin or Johnson City, takes you into the hills north of Dripping Springs on McGregor Lane. When you arrive at Hawk's Shadow, you will definitely relax and stay a while; it is a far cry from the pace of most Hill Country wineries. Indeed, the wine, the views, and the family-run estate are tops in our book! We look forward to seeing you when you visit Hawk's Shadow Winery in Dripping Springs! While our wines are in barrel, we would love to show you what we're up to. Hawk's Shadow is open on Saturdays, and you will find Barbara there, in the tasting room or the cellar. And, we are happy to meet you for an appointment during the week. 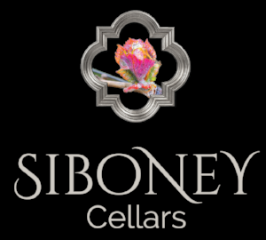 Please write to us, and we will register you for our email list, and keep you informed of wine releases, allocations and other happenings for Siboney Cellars.